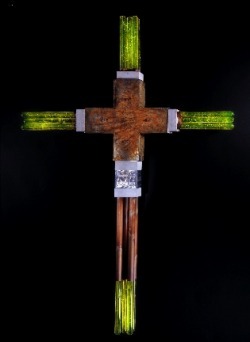 Nuclear Jesus- Hydrostone, steel, copper, lead, glass. 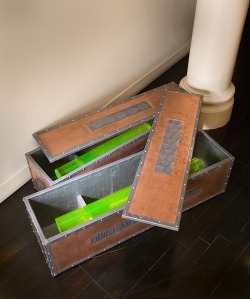 60" x 48" x 5.5", 2005. 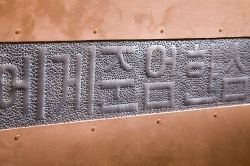 Bismillah- Hydrostone, copper, lead, glass. 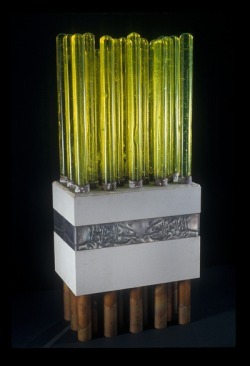 30.25" x 13.5" x 8", 2004. 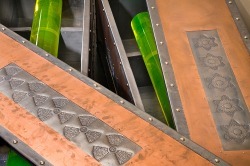 Port of Call- Hydrostone, copper, lead, glass. 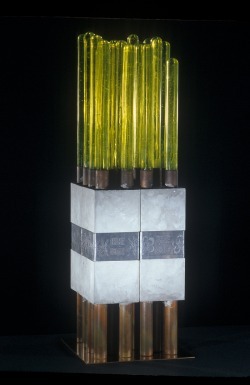 34" x 10" x 10", 2005. Chernobyl- Hydrostone, copper, lead, glass. 40" x 5" x 5", 2004. 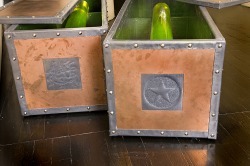 Crates- Copper, lead, wood, glass, steel, brass. 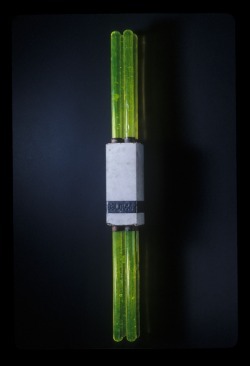 49.5" x 13.5" x 13.5", 2006.